Category Archives for "New Vape Products"
The AirVape OM is a new generation of vaporizers that is designed for waxy oil concentrates. The OM features a dual coil atomizer with 2 changeable cover caps that fit disposable pre-filled cartridges. 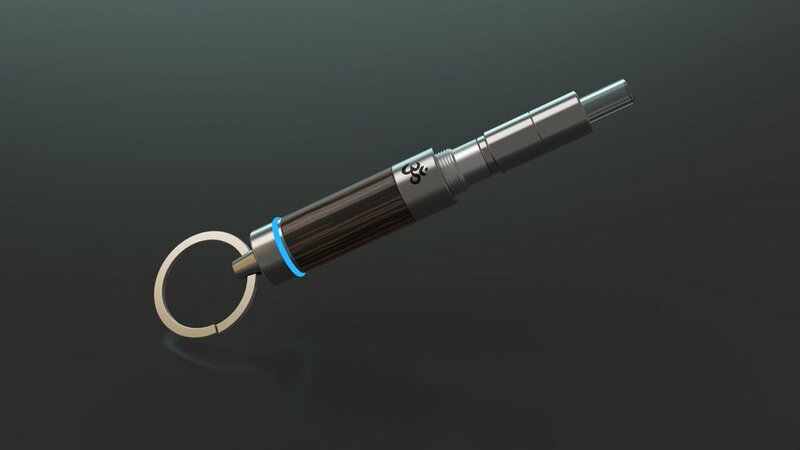 The Airvape OM is a keychain accessory for waxy oils that costs just $89. Our first impression is that it looks pretty cool and we can't wait to see how it performs. 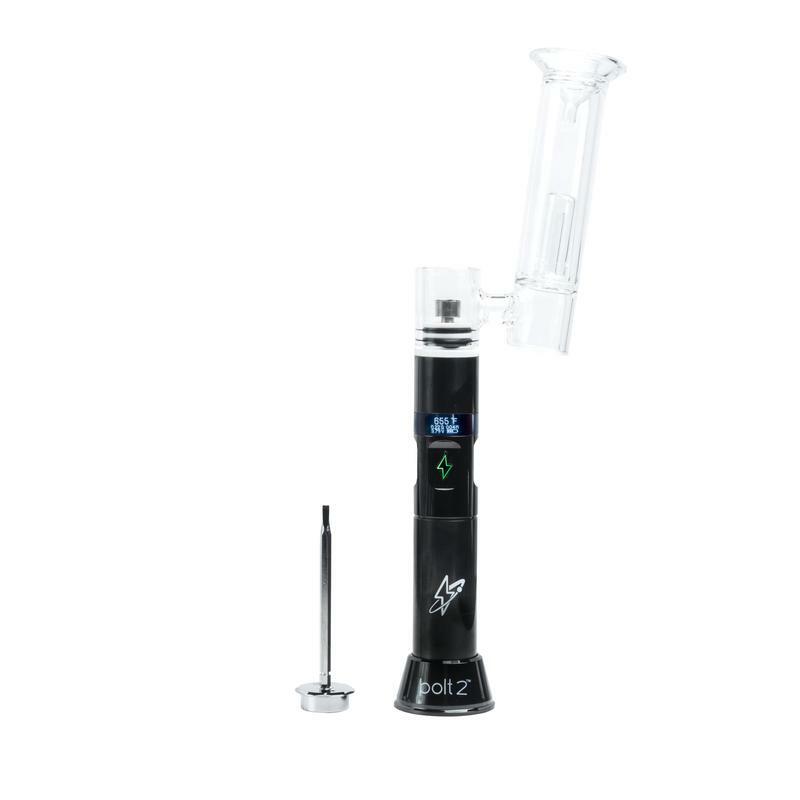 The pre-sale for this new vaporizer is on right now and the actual products begin to ship on July 20 2017. We are thinking that this type of product will be in high demand and expect this vaporizer to impress a lot of people. The OM will become quite the conversation piece once people start to get their hands on them and have them out among their friends. 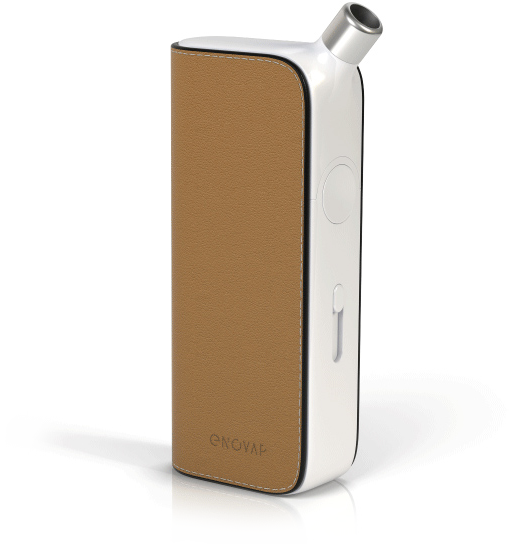 Continue reading below to learn more about the AirVape OM vaporizer for waxy oils. 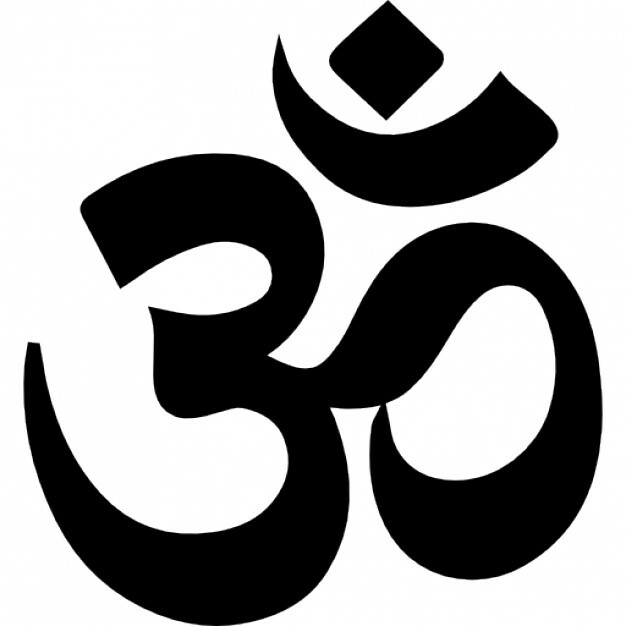 The symbol on the box in the image displayed above is the symbol for Aum or Om. You can learn more about the symbol by visiting the wikipedia page here. In short the term and action of Aum is a type of inner reflection/zen/spiritual/knowledge/universe/truth type concept and belief. Pretty cool idea to include this symbol and especially for a portable vaporizer - Quite the match. The AirVape OM is your little magical super device. Turn the OM on by clicking the button located at the top of the vaporizer 5 times, you do the same to turn it off. You can change the voltage with 3 clicks of the button - Red light indicates 4.0v), blue indicates 3.2v and the white indicates 2.4v. The AirVape OM comes with a dual quartz coil atomizer to vape concentrates. Press and hold the button to active the device and inhale. Portable vaporizer manufacturer Apollo is gearing up to release another model to their highly successful lineup of portable vaporizers. 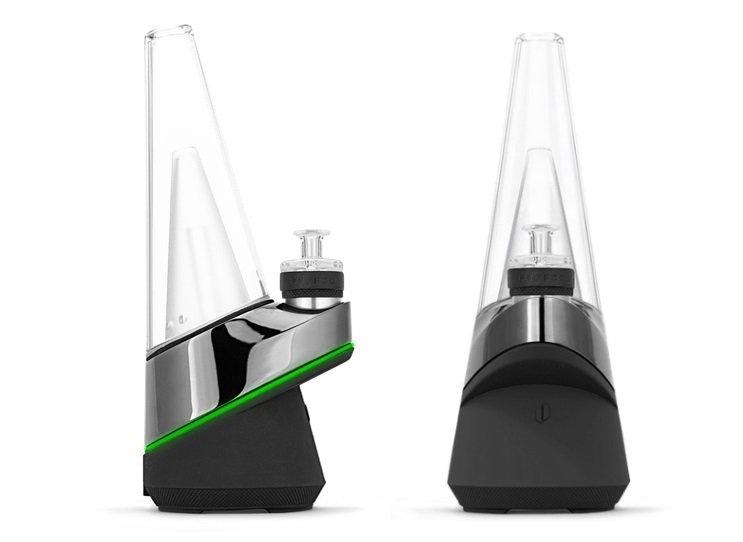 The AirVape OM vaporizer is expected to be a popular vaporizer for Wax / Dabs. This is not for sure and this is speculation coming from the launch date of 7/10 - which in the vape world 710 is a number that relates to waxes, dabs and shatter. The AirVape OM Wax vaporizer we expect will follow in the footsteps of the other Apollo vaporizers and be a high end great performing device that is priced extremely competitively. The following image is possibly what the OM will look like but again - not a whole lot of details available on this device. The Air Vape OM is not yet available but will be coming to market soon. Apollo, the company behind the AirVape OM vaporizer model has kept the device behind locked doors so we do not know a great deal about it yet. When the device first hits the streets we will conduct thorough review of the AirVape OM. We can tell you that the AirVape XS is designed very well and performs very nicely. The AirVape by Apollo is a sleek device that is feature rich and can be purchased with accessories that make it even better and stronger. You are able to get accessories like tight skins (cases) that fit really nicely and snug around your vaporizer. Stay tuned for our AirVape OM box opening and review. 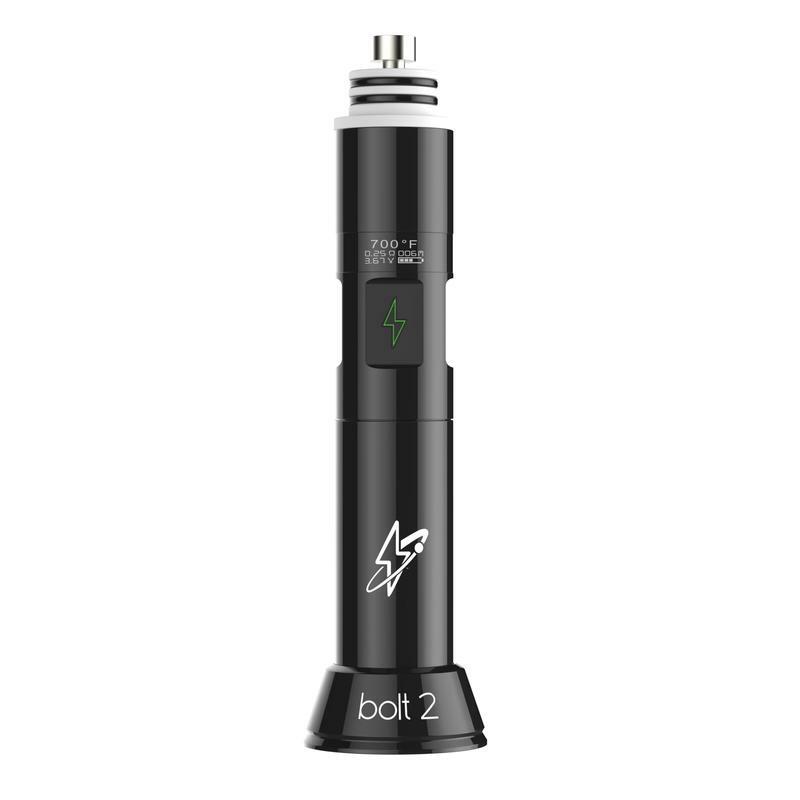 The AirVape OM currently has no active coupons but we will keep you posted and provide any coupons that we find for this new vaporizer here on this page. The coupon code above may also be valid on the AirVape OM but it has not been tested yet (we'd say probably not but you can always check before confirming your purchase in the checkout). The original, the XS, the XS SE, the upcoming OM and the potential AirVape XS2 are all a result of the same efforts and forward thinking strategies. AirVape looks at the current status of the industry to pinpoint gaps where demand is high and also looks ahead to innovate and meet future demand. By creating devices that affordable, high performing, and include features that are new and innovative you have a high chance of success. The vaporizer industry continues to grow and will do so for many years to come, the vape industry is really just getting started and with each new law and regulation in favor of the various aspects included with vaporizers the industry gets even stronger. One of the biggest things that AirVape does is listen to its customers both from direct feedback and also from industry chatter. By doing this and not turning a blind eye to your customers you can improve existing features, implement newly requested features and stay ahead of the competition. Keeping existing customers who already love their products is easy when you pay attention and treat them well. Repeat customers is a must have ingredient to have a company that will be around for many years going forward, AirVape realizes this and so do there customers. Apollo is known for making extremely lightweight and portable vaporizers. The AirVape original was the first model and kicked off the company in the right direction. The original AirVape weighed just 2.5 oz, was .39 inches flat, heated up in just 20 seconds and consisted of a solid list of features for a portable vaporizer released several years ago. The 2nd vaporizer called the XS continued along the same path with the same compact design and came in 4 stylish colors. The AirVape XS comes in midnight blue, mystic gray, red gold, and rose gold. Currently the AirVape original retails just under the $100 mark, and the AirVape XS retails just under $180. 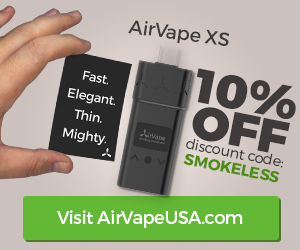 The AirVape XS is a thin .48 inches and weighs 3.2 oz. Slightly larger then the original model but packs a stronger battery and more functionality. The AirVape OM vape for portable use is a highly anticipated device that is sure to be a big seller in the second half of 2017. AirVape / Apollo started out as a group of vaporizer enthusiasts who were all part of different businesses related to the vaporizer industry as a whole. After the group started working togeather they were able to pin point the wholes in the vaporizer industry that they could work to help improve and fill the void. The found that there was a lack of premium vaporizers in the mid price range and especially for dry herb vaporizers in general. This started AirVape down the path of creating the AirVape original followed by the XS and XS special edition. Now we are excited to see the new OM vaporizer and also future models such as the AirVape XS2 perhaps later in the year. Yuo will be able to purchase the AirVape OM directly from the official AirVape website. Its always a good idea to purchase directly from the manufacturer especially with the rise of fake knock off devices. 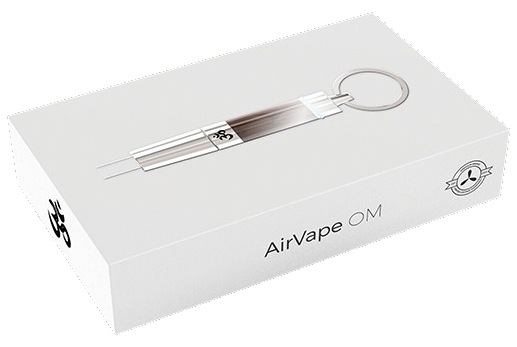 The AirVape OM will be a popular vaporizer right from the first day it is released, if you want to ensure that you get yours with the first batch of production then you should keep your eyes peeled in the coming week. You can visit the official AirVape OM Vaporizer Apollo website here. It looks like the company Resolve Digital Health is on the right track with their new portable smart pod vaporizer. The Breeze Smart Inhaler is a sophisticated and modern looking portable medical vaporizer that is currently in the production stages of development. With so many portable vaporizer companies being introduced every day it is getting harder and harder to stand out from the crowd, but the Breeze Vaporizer has caught our attention. Continue reading our initial review on the Breeze Smart Inhaler below. Creating a revolutionary device is one thing, but making a great product is not the only thing that will determine the success of a new product. One of the biggest reasons that we believe the Breeze Smart Inhaler from Resolve Digital Health will be a winner in this device packed industry is because of their timing. The timing of creating a device that is catered to the health industry in particular. Cannabis is quickly becoming being widely accepted into the mainstream healthcare industry as a potential health benefit. 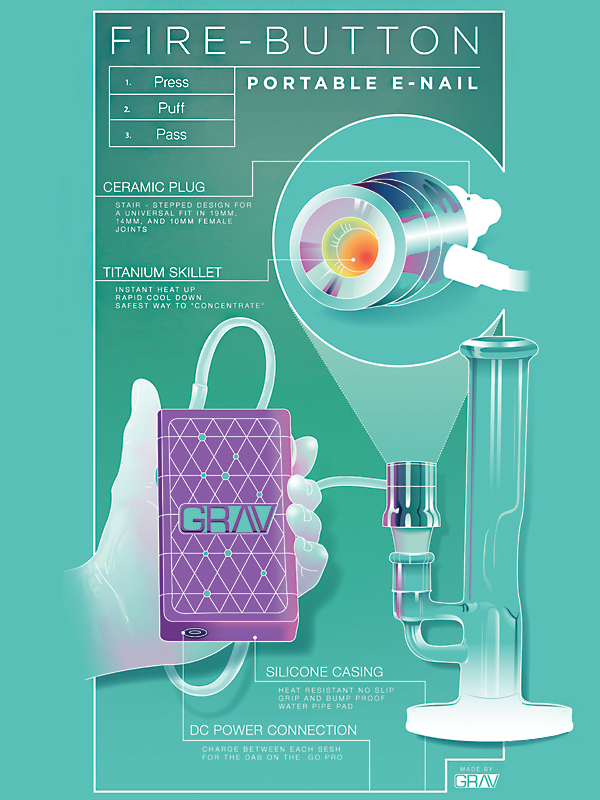 People who were not your typical cannabis consumers are now beginning to experiment and try the many new forms and options being made available. Vaporizers like the Breeze Smart Inhaler are becoming much more sophisticated and safer to use then vaporizers in the past. The Breeze vaporizer is not your typical vaporizer that just has a power button with a few temperature settings. The Breeze Smart Inhaler is a smart device that helps to measure and record treatment effects to help you get to a specific result (medicated stage) time and time again. 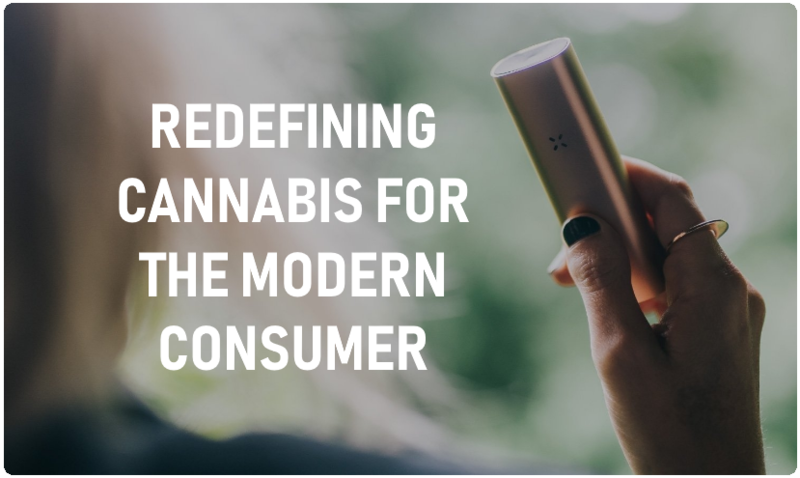 With most portable vaporizers is it more of a guessing game to try and reach a desired level of medication, but with the use of smart pods and an advanced application you are able to closely monitor and stay in control of your cannabis consumption. The Breeze Smart Inhaler is a portable unit that you can use on the go. The device looks very modern and professional which is key to making the user feel comfortable to use it when around other people in public. The vaporizer is a compact size which allows you to be discreet with your usage. The target audience for the Breeze Smart Inhaler looks to be more of the medical patients opposed to a younger audience which is the marketing strategy of most other portable vaporizer manufacturers. The Breeze vaporizer has a very nice user interface that is touch screen controlled. Using the device will feel very natural and come easy to first time users. The Smart Breeze Inhaler is equipped with Bluetooth which will pair the device to your smart phone or tablet from which you can use the advanced monitoring and controlling application that has been designed specifically for the Breeze Smart Inhaler. The Breeze Smart Inhaler works with smart pods. Smart pods are pods that will contain various herbal remedies that you can order. You will be able to order smart pods that are directly related to the mental or physical illness that you are trying to heal or prevent. The Breeze Smart Inhaler will automatically detect which type of pod you are using with the device and optimize the system accordingly. The Smart Pods for the Breeze Smart Inhaler go through a 20 step quality assurance process to help ensure the highest cultivation standards are met. The Smart Pods are pre-measured and hygienically packed to make sure that the user receives clean pharmaceutical grade properly measured doses. The Smart Pods are packaged with unique digital codes for an extra level of accuracy and information to know exactly whats inside. The strains that are used to make the Smart Pods have been chosen because of their proven effectiveness and quality. Each herbal blend that you are able to get has been formulated by industry experts to cater to specific symptoms. If you suffer from multiple symptoms or just one, you are able to easily purchase the correct pods for your specific needs. It is because of the users ability to monitor the device and choose the correct strains that the Breeze Smart Inhaler will cater to so many healthcare patients. Resolve Digital Health is making a smart application that will work with the Breeze Smart Inhaler. 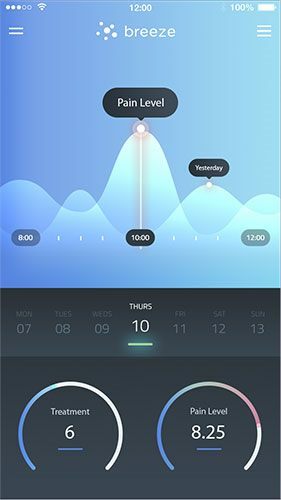 The App will be able to help you track your consumption, it will be able to recognize the pod type you are using, it will be able to track your treatment time, and also help to produce the result you are intending to receive. The Breeze application will take the information you provide and present it in a way that will help you learn from your sessions and make the information readily available to improve future sessions. It does this by measuring the effectiveness of each treatment and how you are managing your symptoms. The Breeze Smart Inhaler app allows you to store symptoms, prescription drugs and medical conditions. You are able to keep the information that you provide and that the app collects secure through encrypted data and anonymous data. As the information grows and more data is collected doctors, patients, and caregivers will be able to learn and provide advice to and from one another. The Breeze App has a help assist mode which makes using the device effortless. The help assist mode will help to walk you through each step of your session, including when to inhale and when to exhale. 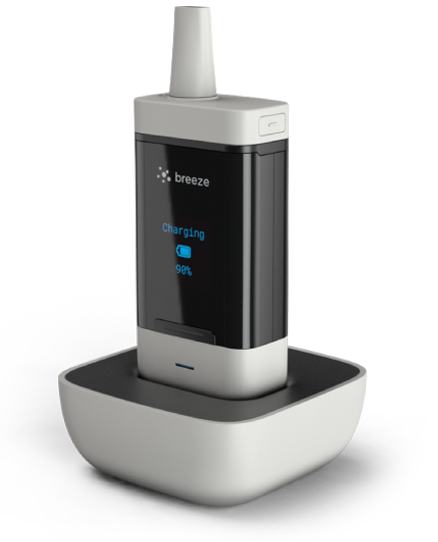 The Breeze Smart Inhaler vaporizer is still in its creation phase and is not currently available for purchase. The Breeze Smart Inhaler we expect will be a high demand product when it is first released. The Breeze Smart Inhaler is one of the first smart devices for medical cannabis. You can visit the official site here at http://mybreeze.co/ to learn more.